When we started of with office 365 project ,one of the key application to be delivered to users is Teams application. Teams is the primary client for intelligent communications in Office 365, replacing Skype for Business Online over time. When we started deploying the teams clients to windows computers using SCCM Configmgr ,teams will auto startup upon computer restart/user logoff & log in and is by design . with value com.squirrel.Teams.Teams and data C:\Users\eswar.koneti\AppData\Local\Microsoft\Teams\Update.exe --processStart "Teams.exe" --process-start-args "--system-initiated" as shown below. With the initial deployment ,we decided to remove this auto startup using group policy for all users and let user start the application manually as they already using lync and teams is additional collaboration platform to use. 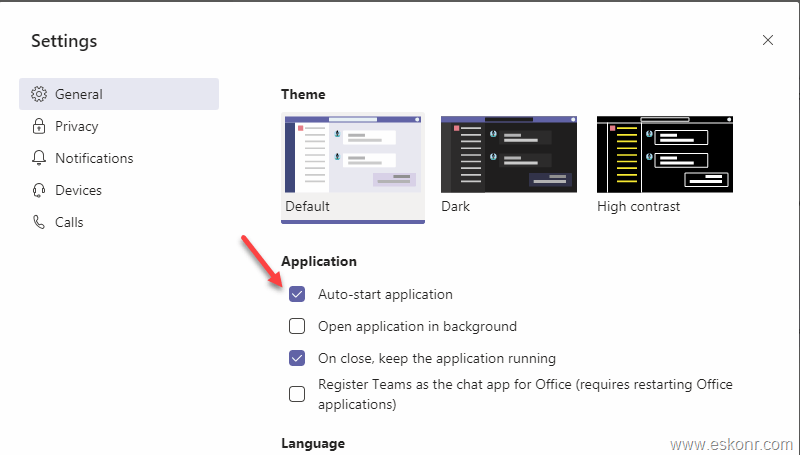 There are 2 reasons for us to remove the teams auto-start application using GPO. 2)For those it got installed ,users complain that ,loading of teams when user login takes a while which slow down the PC. So ,to delete the auto-startup ,we use GPO (best way to remove this) by simply creating a registry key with delete and apply at OU level. So far looks good but when we are actually reaching completion of office 365 project that delivers every one to use Teams application ,we started sunset lync application. When we disabled lync for users users started asking for auto-start application for teams and we already deleted it using GPO for everyone initially. The registry key that was created by the application in the registry key was removed earlier and now if we want that to be back ,either user must go the application and enable the setting or we push the registry key using GPO. Since i already noted the registry key that was created by the application so i created a GPO with following syntax and applied at OU level. As you can see above, the value data (C:\Users\%username%\AppData\Local\Microsoft\Teams\Update.exe --processStart "Teams.exe" --process-start-args "--system-initiated" ) that we used is same as the one that we deleted initially, but this doesn't work on end-user PC during logon. The GPO applied correctly and teams never load automatically so i copied the syntax and tried opening in cmd window and it works but auto-start do not work. 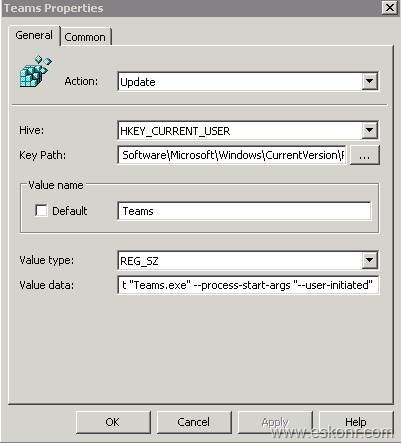 Value Data: C:\Users\%username%\AppData\Local\Microsoft\Teams\Update.exe --processStart "Teams.exe" --process-start-args "--user-initiated"
If the user have teams installed (if you did not change the default install location) ,this GPO will launch teams automatically during login . What happens if the computer doesn't have teams installed but still the GPO applied ? does it pop-up any error ? No ,there wont be any error or pop-up on the computers that doesn't have teams installed and you are safe to apply to everyone who want to have the auto-start application enabled.